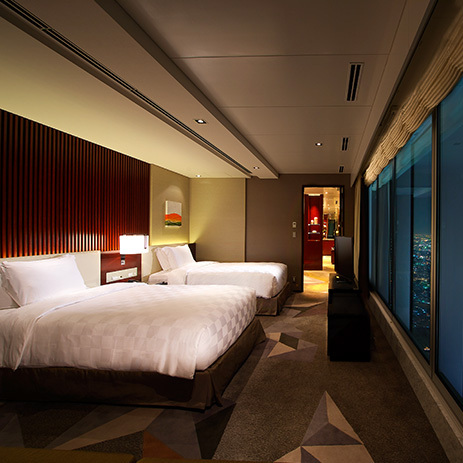 The Marriott Miyako Hotel in Osaka is a truly outstanding hotel: it occupies the top 20 storeys of Japan's currently tallest building and its panoramic views from up to 300 m are impressive. 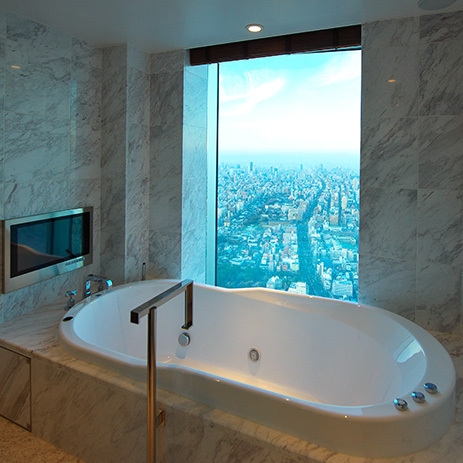 The luxury offered by the marble bathrooms in six exclusive suites is appropriately combined with exclusive Hansgrohe bathroom products. The designers selected Axor Citterio and Axor Urquiola for the wash basin and bath mixers, combined with showering comfort from the PuraVida and Raindance ranges. 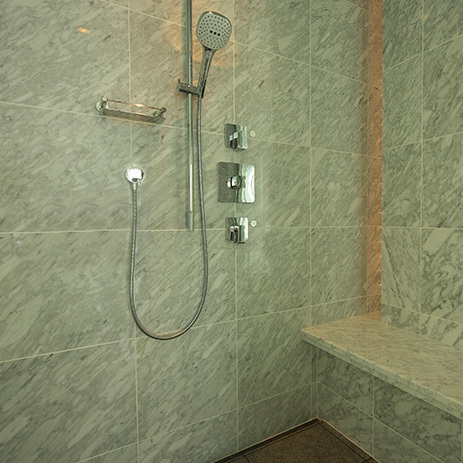 Hansgrohe mixers and showers ensure that guests can enjoy bathroom convenience in the hotel's other rooms as well. 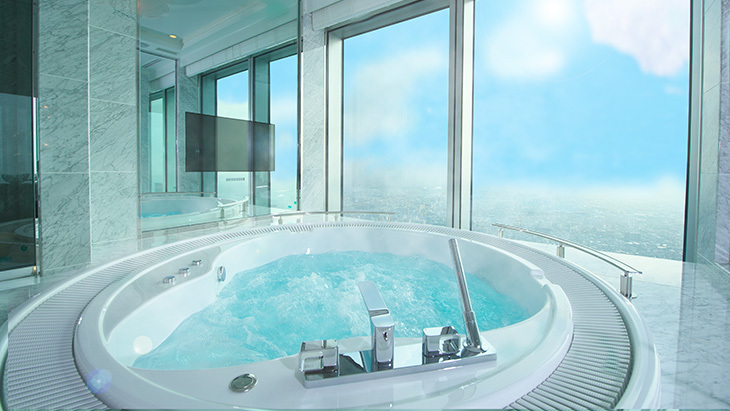 Look out over this city of over a million inhabitants from your bath tub: this experience can be enjoyed in the bathrooms of the Imperial Suite, Royal Suite, Executive and Comfort Suite, which feature comfort tubs with whirlpool technology. 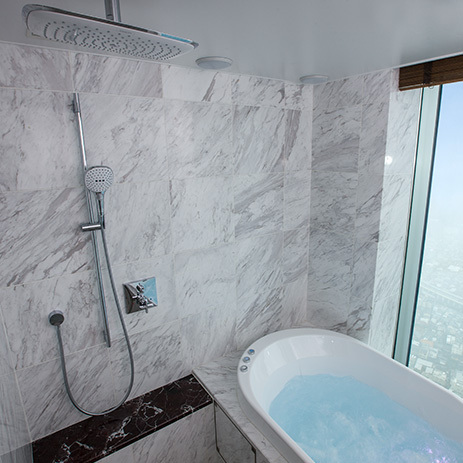 The 4-hole rim-mounted bath mixers from Axor Citterio and Axor Urquiola perfectly complement the exclusive décor. Both Axor bathroom collections are also used on the wash basins. 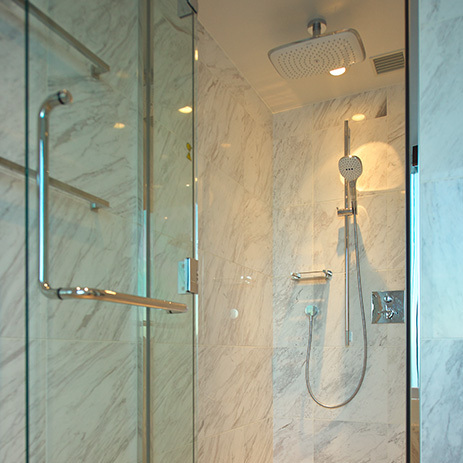 The architecture of the bathrooms allows for plenty of space in the shower thanks to concealed installation technology for the thermostats. 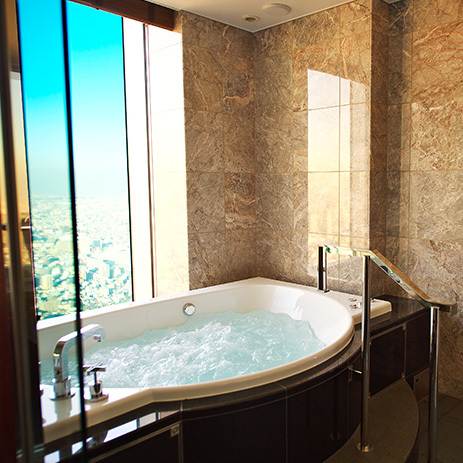 Flat-screen TVs round off the bathroom luxury offered in the suites. 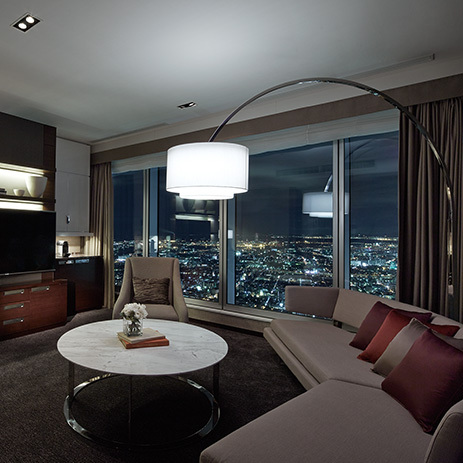 The 5-star hotel, with 360 rooms and suites, forms part of the large-scale building complex Abeno Harukas in Osaka, which also includes shopping areas, recreational activities and an exhibition area. 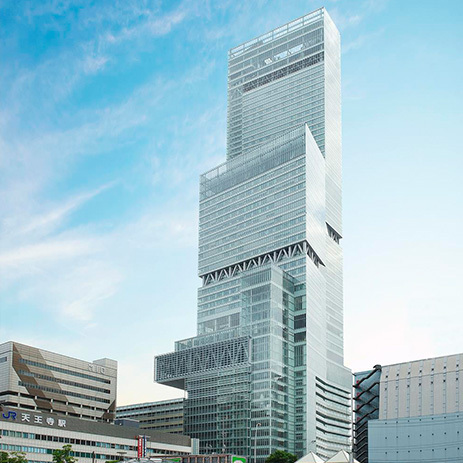 It is situated above a central transport hub. The purist architecture is completely clad with glass and is impressive due to details such as its lofty atrium, terraces and rooftop gardens. This is complemented by a selection of restaurants and a business centre. 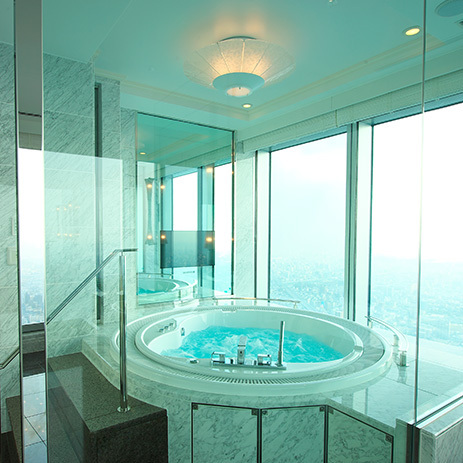 Owner: Kintetsu Miyako Hotels International, Inc.